There are no other additives, besides kalkwasser that can add calcium and alkalinity from a single solution. 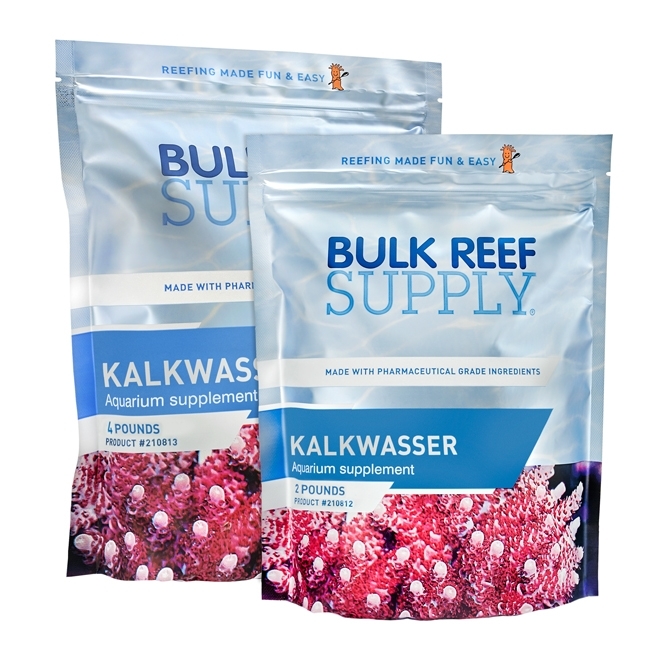 When kalkwasser is added to water, it creates a solution that has a balanced amount of alkalinity and calcium ions available that your corals can consume as they grow. Calcium Hydroxide Ca(OH)2 more commonly known as kalkwasser is typically dosed to reef tanks through an Auto Top Off (ATO) system like the Tunze Osmolator 3155 which will monitor your aquariums water level and add fresh water as needed. By mixing a small amount of kalkwasser with the top off water, you can have it slowly dosed reliably throughout the day. When Kalkwasser is added to saltwater, the CO2 in your water will react with the hydroxide ions, allowing the calcium to go free, but also converting into bicarbonate. Add up to 1 1/2 teaspoons per 1 gallon of fresh top off water. Start by adjusting your Calcium, Alkalinty, and Magnesium levels to where you want to keep them long term. With a clean top off reservoir, fill the container with RODI water. Depending on your demand for calcium & alkalinity, add up to 2 teaspoons of BRS Pharma Kalkwasser to the reservoir. Low Demand - 1/2 tsp per gallon of top off water. Medium Demand - 1 tsp per gallon of top off water. High Demand - 1 1/2 tsp per gallon of top off water. Mix the kalkwasser into the top off water with the least amount of stirring possible. One it is fully mixed, do not mix again, over-mixing will cause CO2 to enter the solution making the kalkwasser less potent. Let the kalkwasser solution sit for 30 minutes before using. Activate your ATO and monitor the pH of your aquarium as the kalkwasser solution is being dosed, not exceeding increases of 0.20 pH. Your ATO should be pumping water into a high flow area of your sump or display tank to help prevent precipitation. Adding kalkwasser too fast may result in precipitation rendering it ineffective. Keep your ATO pump an inch off the bottom of the reservoir to avoid sucking up the precipitation at the bottom. Monitor your aquariums calcium and alkalinity levels daily for the next few days, and adjust the strength of the solution as necessary. Refilling your top off reservoir will be necessary, and it is as simple as refilling your container with fresh RODI water and adding enough kalkwasser per gallon of water to keep your calcium and alkalinity levels stable. It is recommended to clean the reservoir regularly as precipitation will form on the bottom but isn't necessary after every refill. There are many different styles of kalkwasser reactors on the market, but most of them function in the same way. Fresh RODI water is fed into an input port on the reactor where the water either mixed with a pump or a stir bar to create a saturated solution that will be then pushed onward to your aquarium. Kalkwasser reactors have a couple advantages over the ATO method, one is how often you need to add more kalkwasser and the solution created is always saturated to the maximum amount. Most reactors will be able to handle a few cups of kalkwasser, but will vary between different models, and won't need maintenance for a few weeks, possibly even months. We suggest referring to the reactors instructions for how much kalkwasser to add at a single time, but also the plumbing of them. We have found to like the Avast Marine Kalkwasser reactors for their heavy-duty pump and easy to use operation. Do not over-mix the liquid solution, over-mixing will cause the solution to become less potent. Monitor your pH when kalkwasser is being dosed. If your pH increases more than 0.2 slow the dosing down slightly. Keep your ATO reservoir covered to minimize exposure to air. Add to a high flow area to help minimize local pH spikes and precipitation.